Customers tell us that their on premise storage systems are overflowing, causing them to continuously purchase additional, expensive enterprise storage, more floor-space, and hire additional personnel. The solution is straightforward, the cloud. So, it’s not a surprise that companies are discovering the benefits of the Azure Cloud along with the Archive2Azure intelligent data management solution to store, archive, and manage all types of structured, semi-structured, and unstructured data. 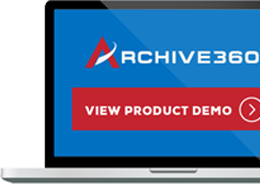 Unlike third-party proprietary clouds, Azure plus Archive2Azure creates an intelligent cloud platform to store, secure, and manage all your data at the lowest price possible. And because your data is stored in your organization’s Azure tenancy, there is never a need to worry about cloud vendor lock-in or data ransoming when you want to move your data out – it's your data, stored in its native format, in your Azure account. Migrating huge data sets; Network or drive shipping? However, for large organizations with huge amounts of data that need to be migrated into Azure, what’s the most efficient way to move that volume of data? Obviously, networks are the best first choice, however, if the size of the datasets are very large - terabytes or petabytes, or your network is overburdened and slow, moving data into the Azure Cloud in this way can be a challenge in both time and cost. As an example, 1 PB of data would take approximately three years to migrate into the Azure Cloud using a network connection with 100 Mbps of available bandwidth. Fortunately, there is a much faster and safer way to migrate huge amounts of data into Azure. 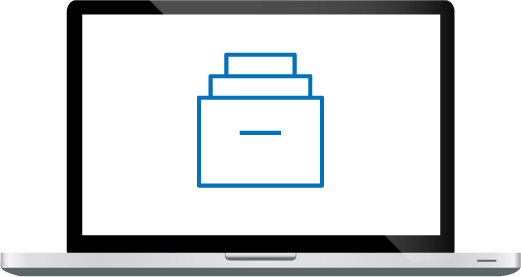 To quickly transfer large amounts of data to your Azure Cloud with minimal cost and impact on your network, Data Box is a fast, simple, and secure way to transfer huge data sets to the Azure Cloud. It’s perfect for moving aging or rarely accessed data from on premise archives, aging backups, VMs, or legacy applications you are planning to retire. Because Data Box utilizes the familiar Azure Portal for ordering and management, the Data Box is especially simple to use. And since it’s Microsoft, it’s extremely secure. The Data Box is designed to move data into Azure quickly. With 10 Gbps LAN connections and overnight shipping, 85 TB can be transferred into Azure – from start to finish (including shipping) – in less than ten days - which is comparable to a 1 Gbps network connection! This data transfer process allows large datasets to be quickly and cost-effectively moved into Azure’s secure and cost-effective cloud environment. Everything about the Data Box is designed for simplicity. Ordering, loading, and shipment monitoring is done via Azure’s familiar and intuitive portal. Simply connect Data Box to your network and start filling the Data Box. 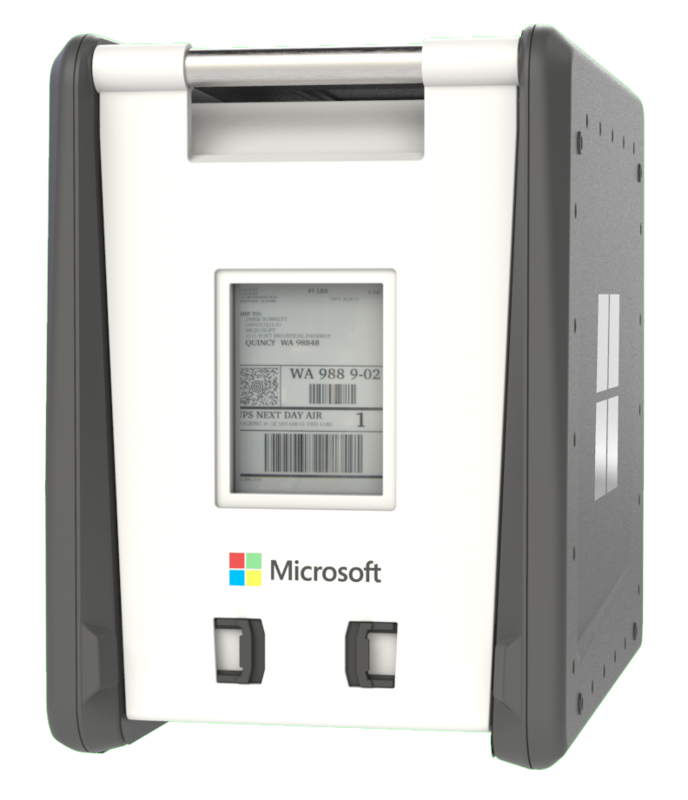 Even the shipping label, created using “e-ink” technology, is designed to simplify shipping to the Azure datacenter. The cover story of the May 2017 issue of The Economist proclaimed that data is now the world’s most valuable resource. The Data Box protects your data with built-in, state of the art security protections. The Data Box includes a hardened, tamper-resistant case to ensure your data arrives at the Azure data center in secure, pristine condition. Data is secured with 256-bit encryption and is only accessible with an encryption key provided separately from the shipment. These Data Box characteristics ensure reportable chain of custody as well. Once your data has been successfully uploaded to Azure, the Data Box is wiped and sanitized in accordance with NIST 800-88r1 standards after return to Microsoft. This week at Ignite 2018, Microsoft announced new capacities for their Data Box solution to enable even larger data sets to be migrated quickly. The Data Box can be ordered either directly from Microsoft or Archive360. With this new Data Box capability, organizations can migrate large data sets into Azure plus Archive2Azure with little or no employee productivity disruption. To find out more about using Data Box for your Azure data migration, contact Archive360 now, or stop by our Ignite booth - #2034.